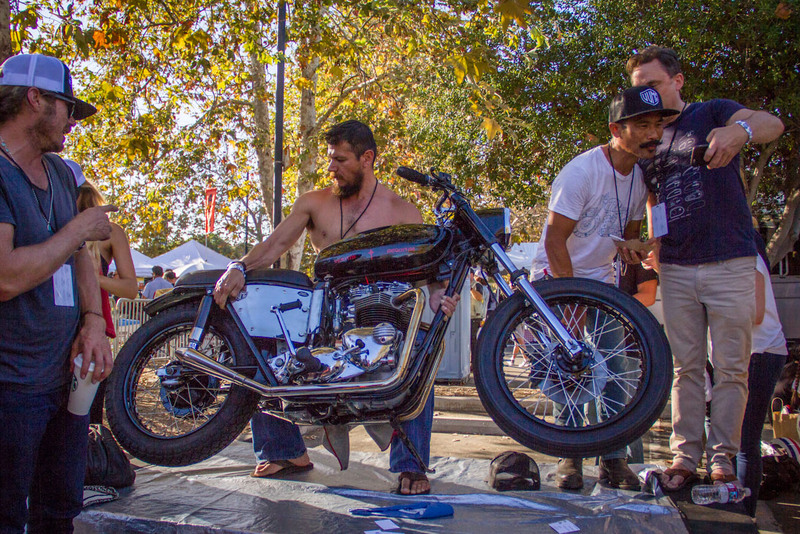 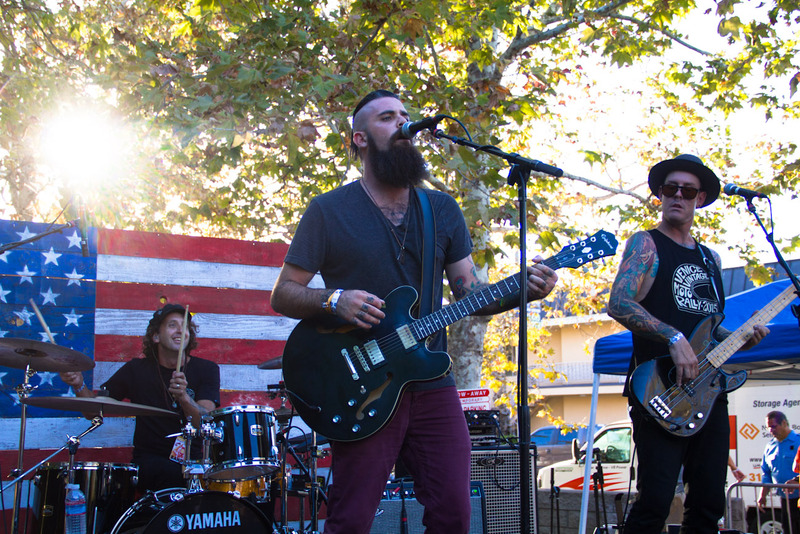 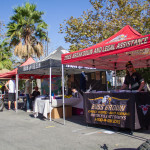 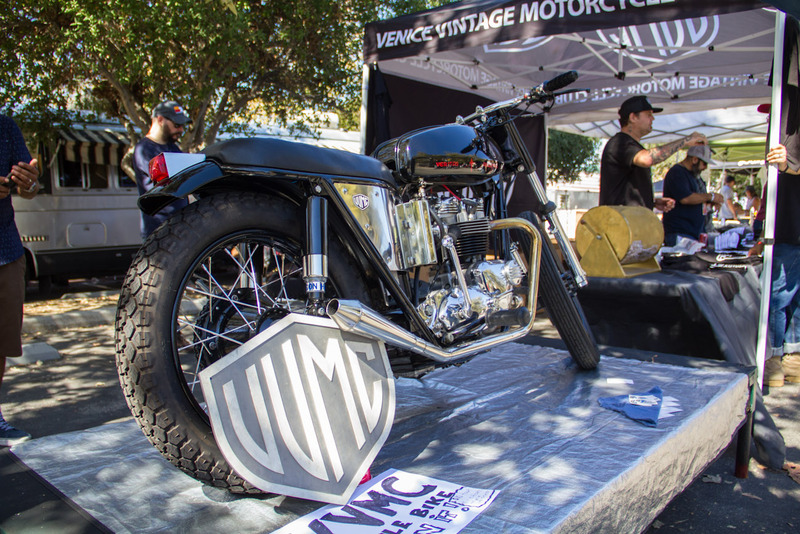 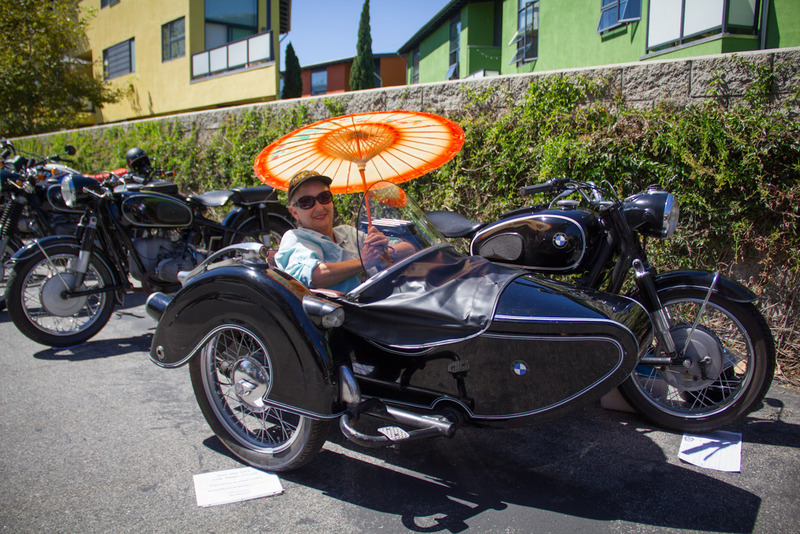 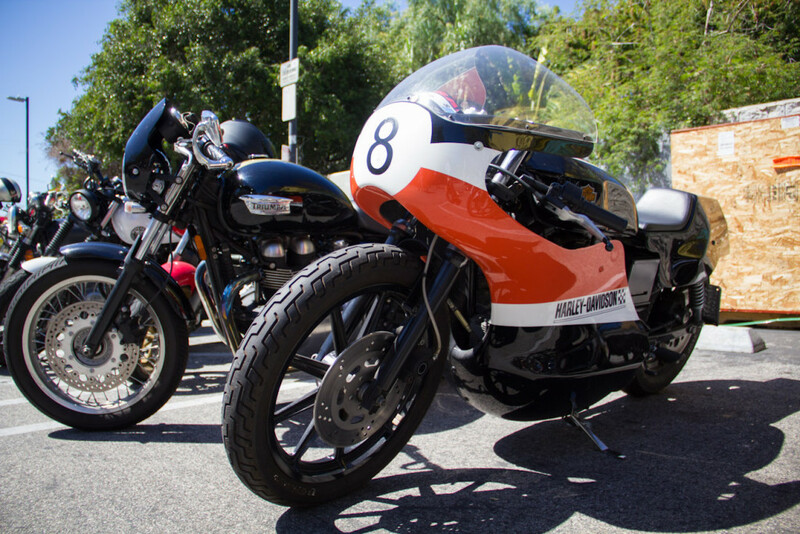 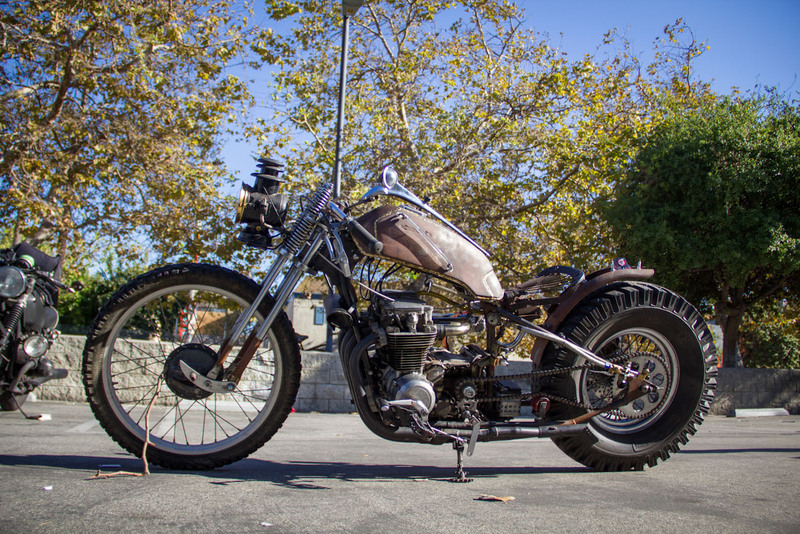 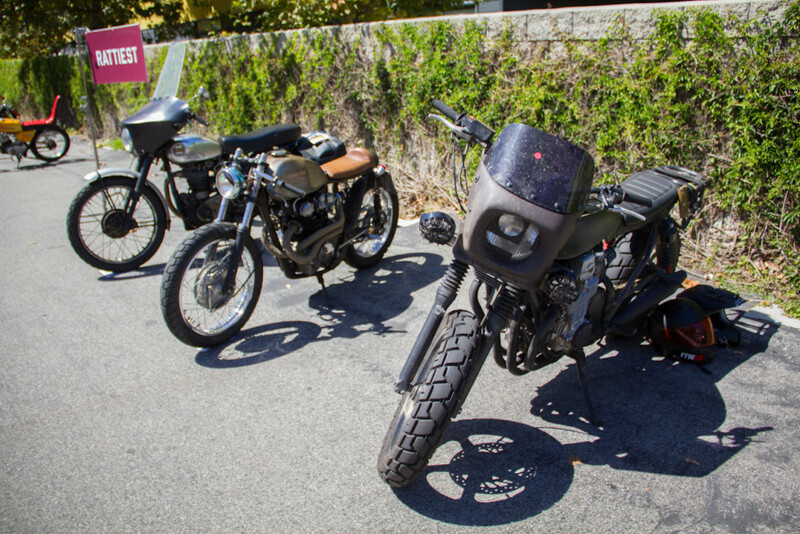 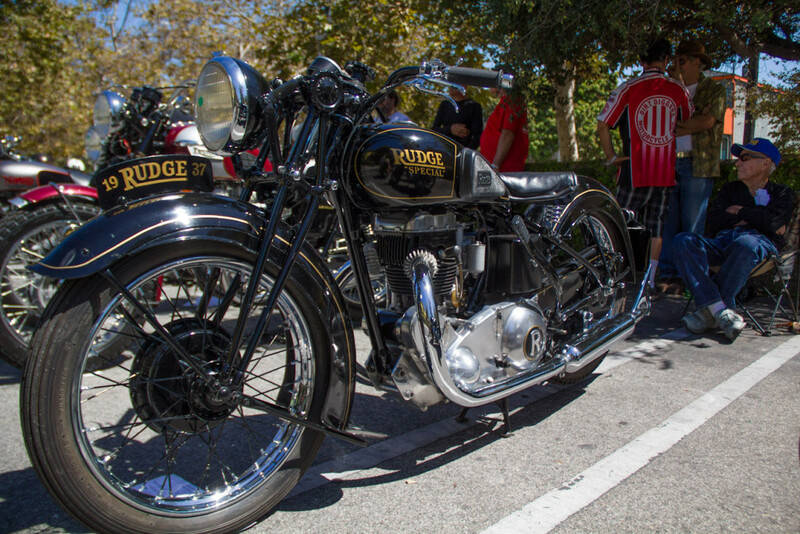 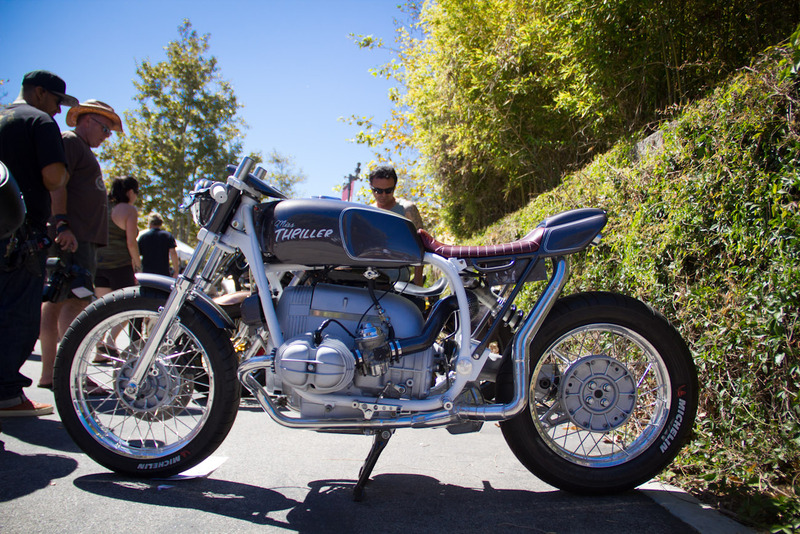 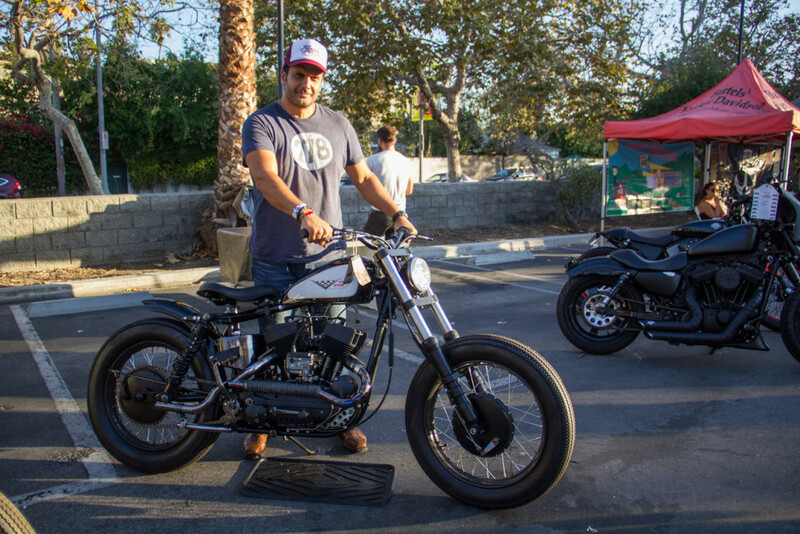 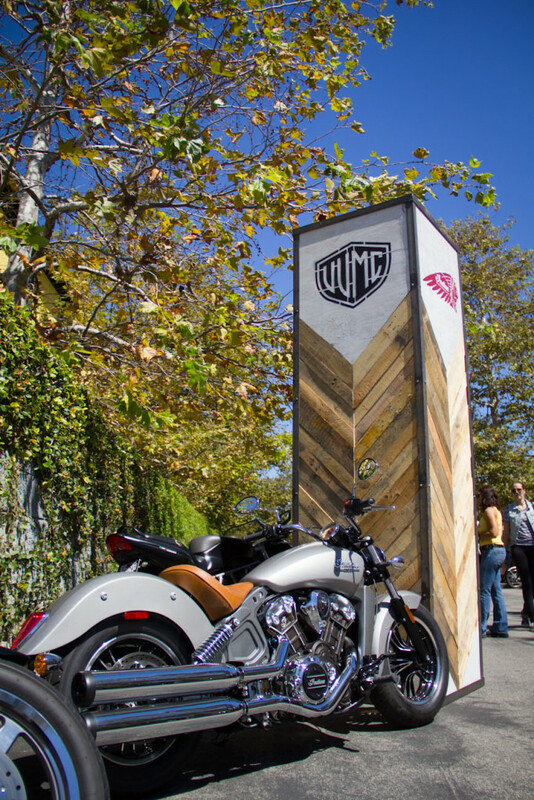 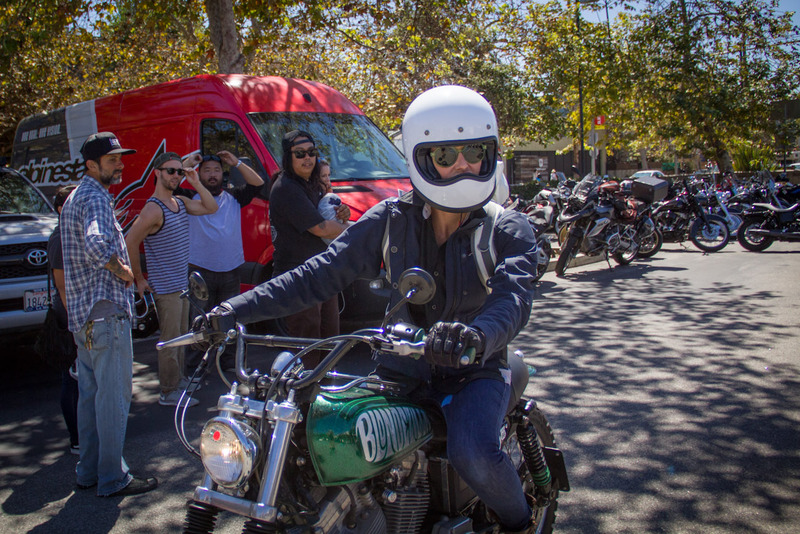 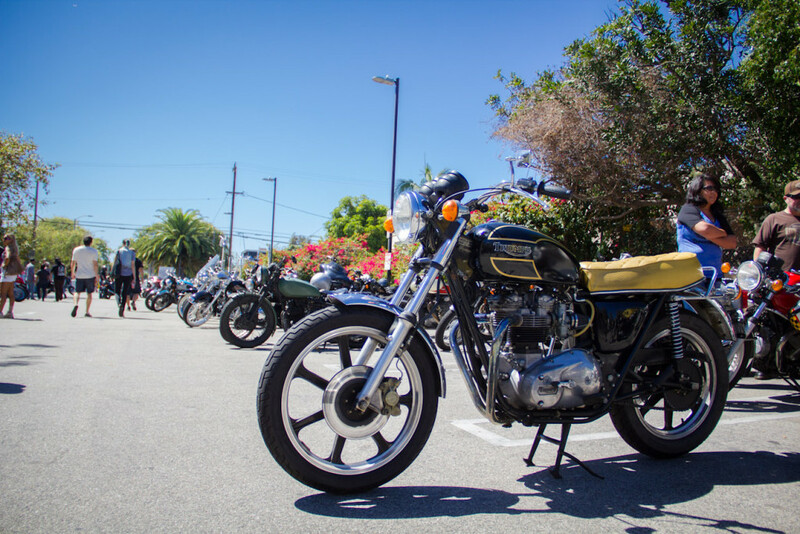 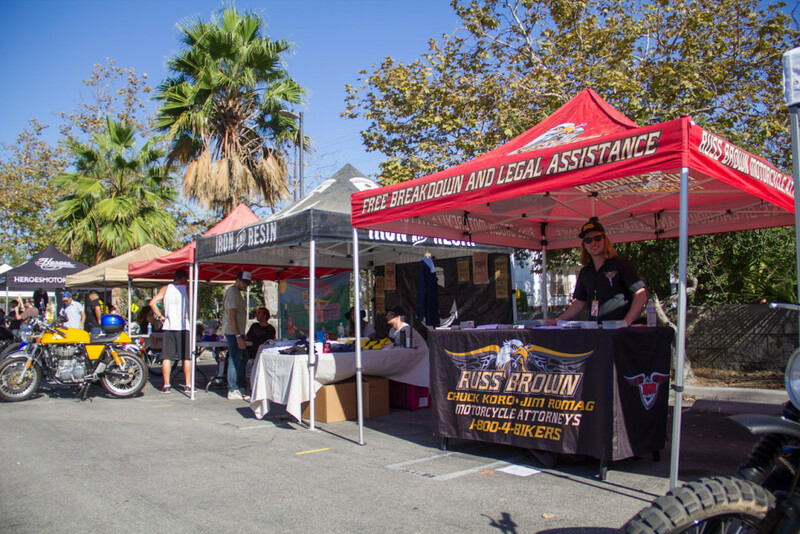 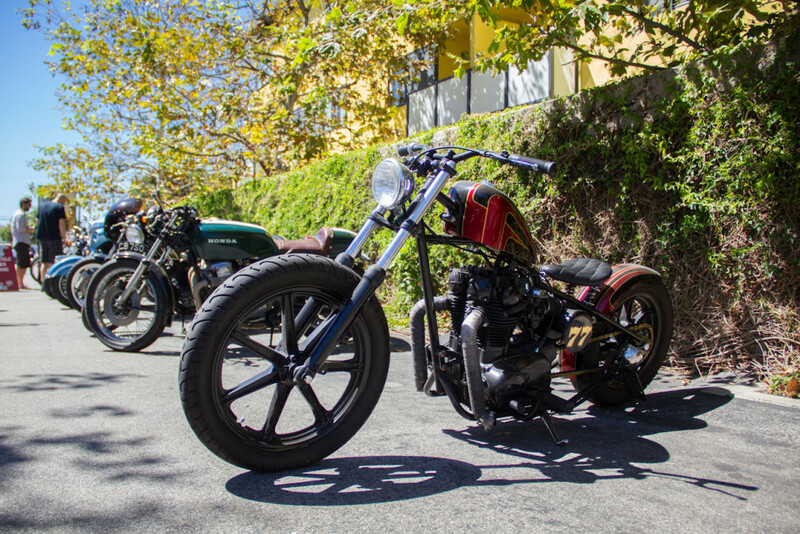 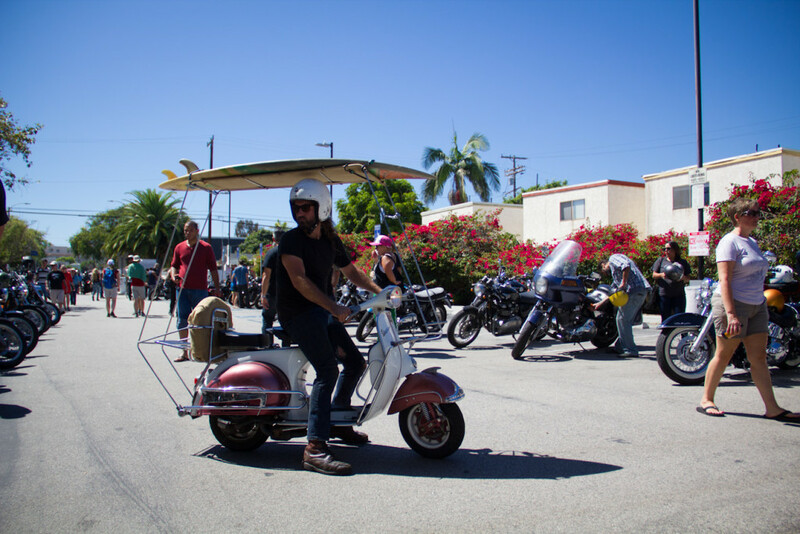 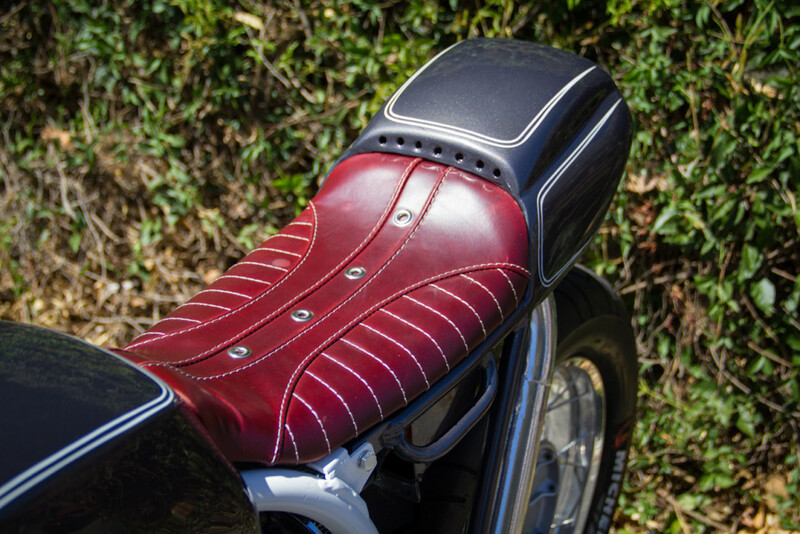 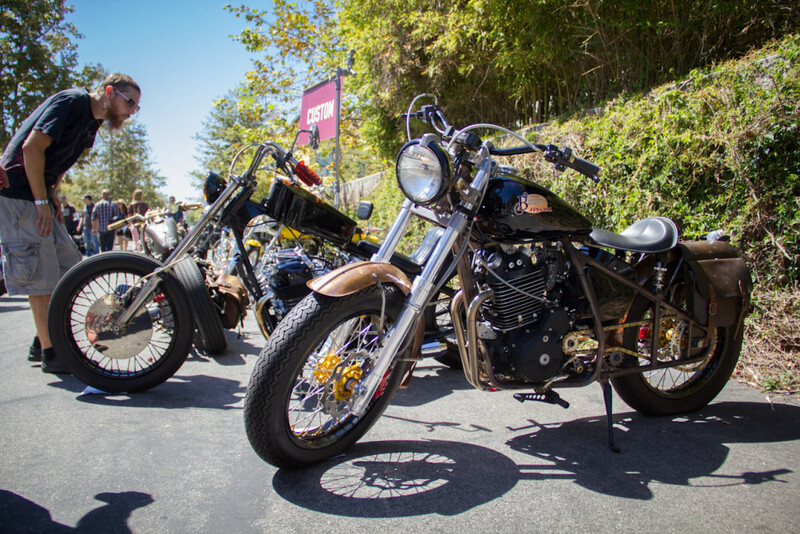 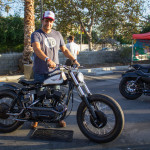 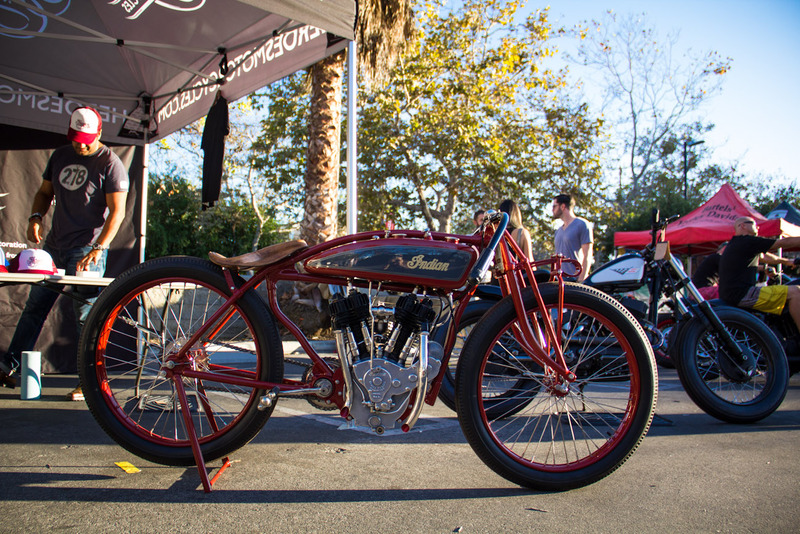 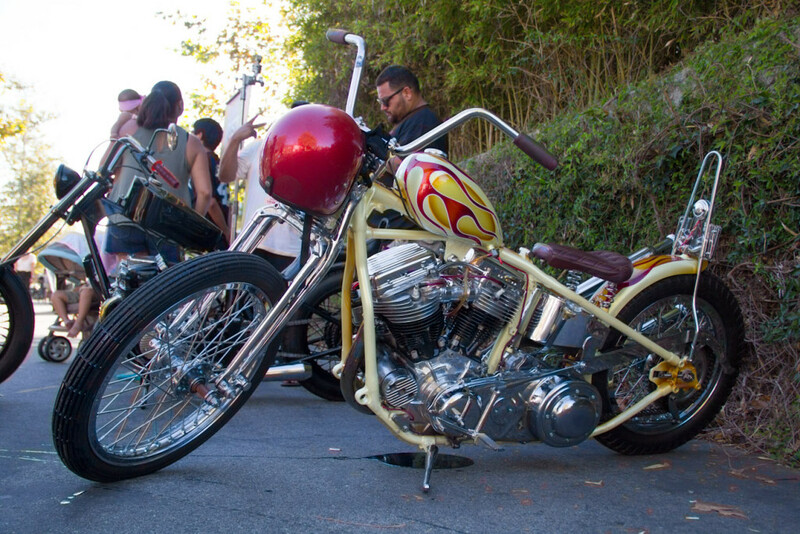 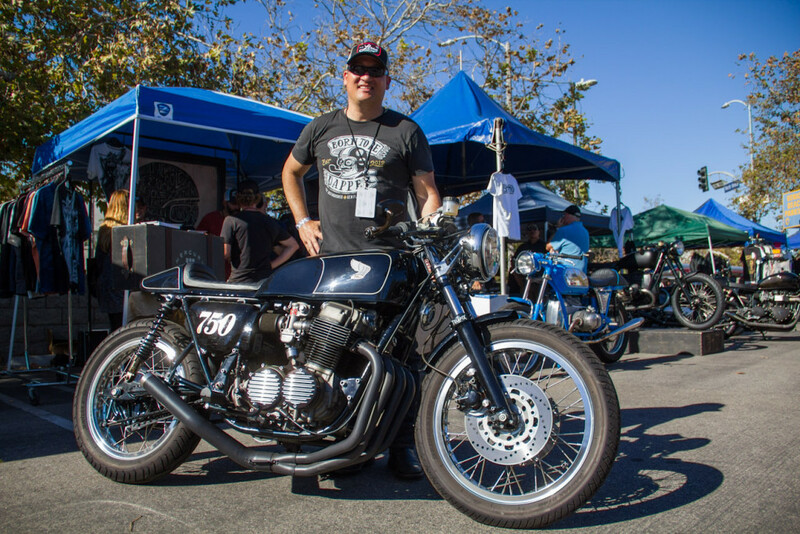 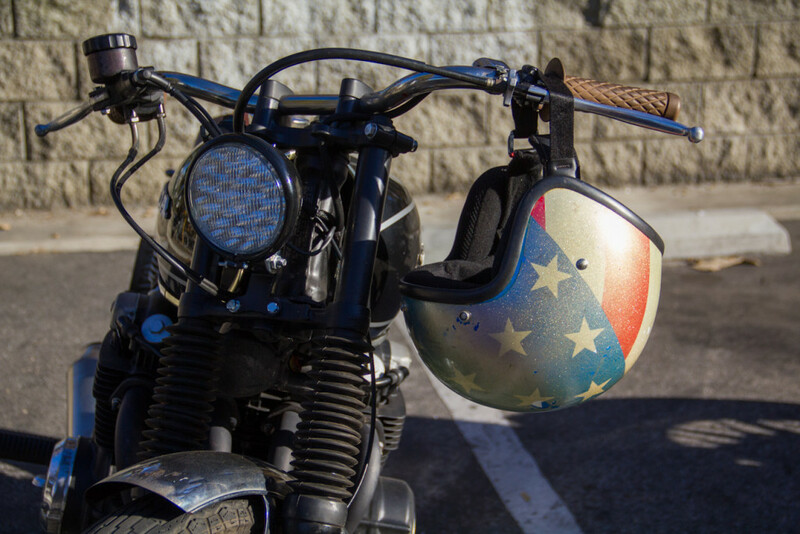 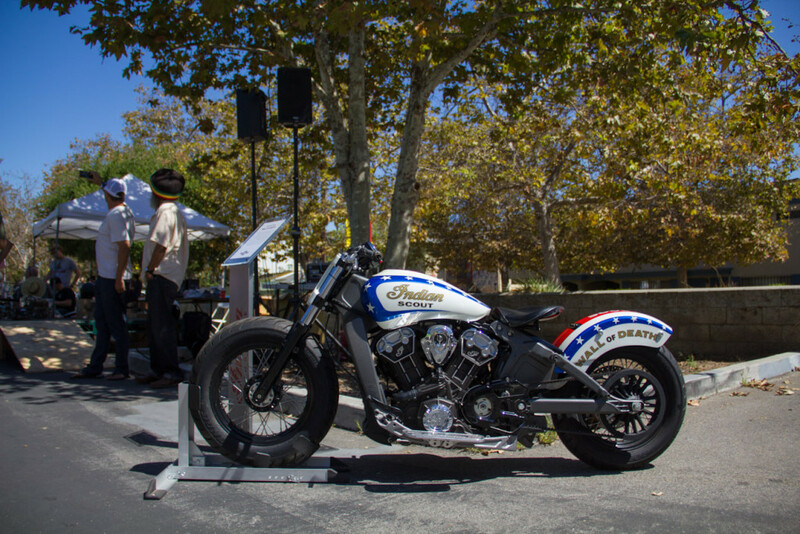 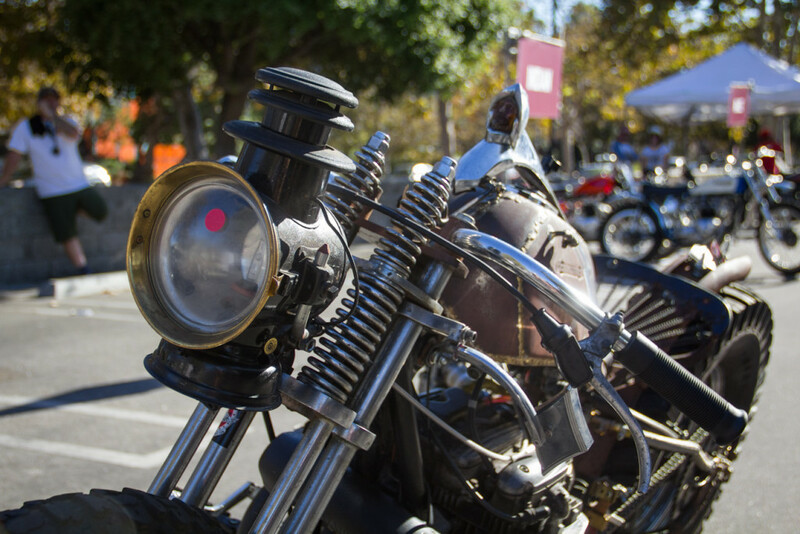 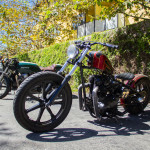 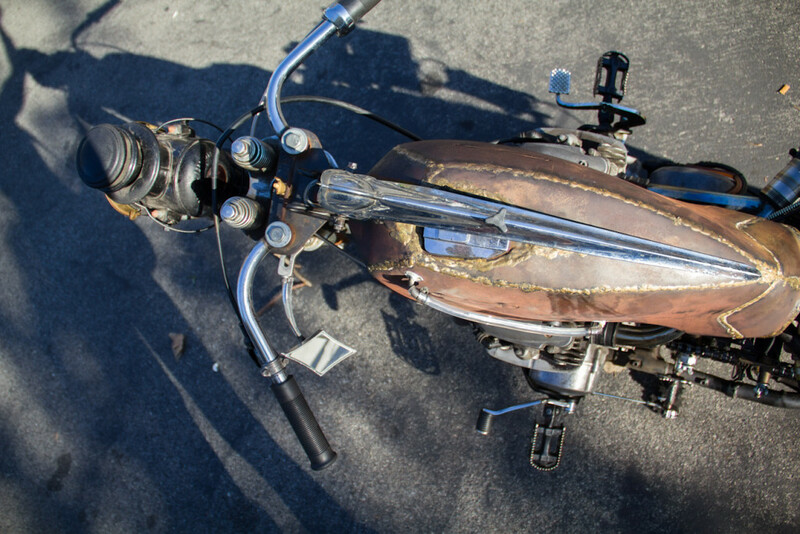 The Venice Vintage Motorcycle Rally in September features booths from Los Angeles local companies, live music, raffles, good food, and booze. 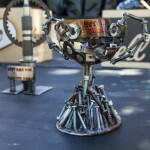 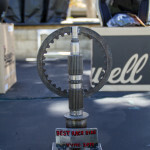 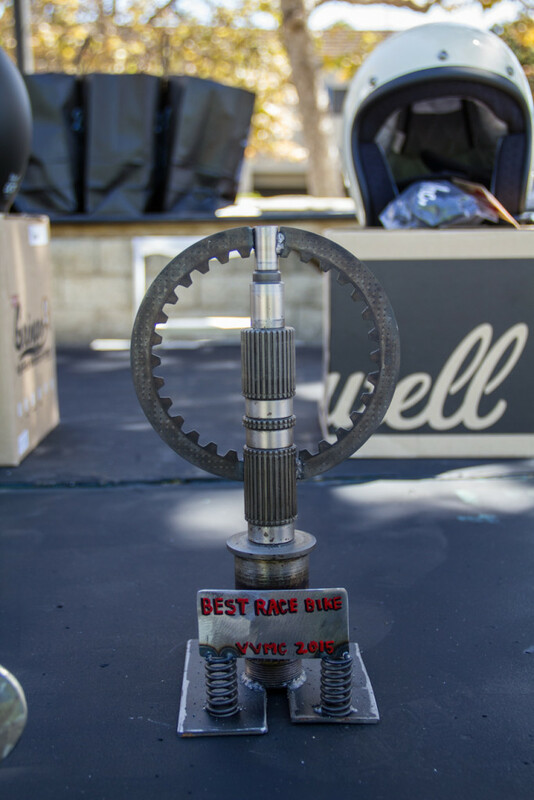 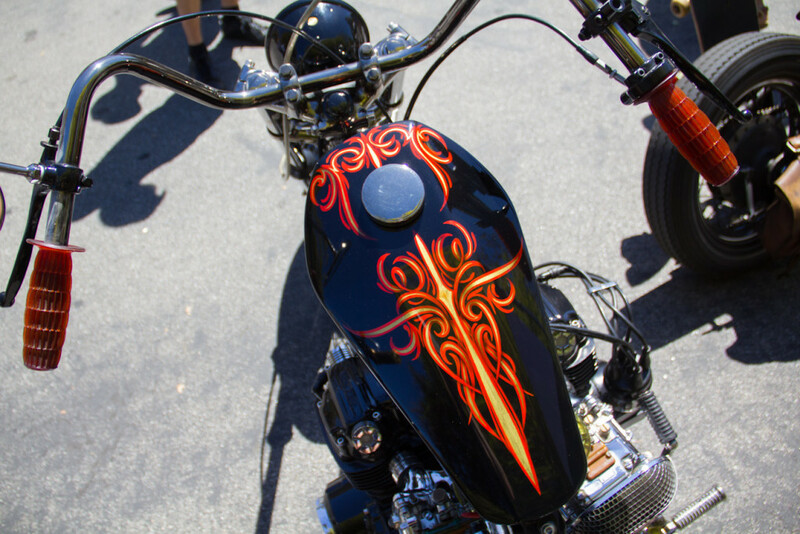 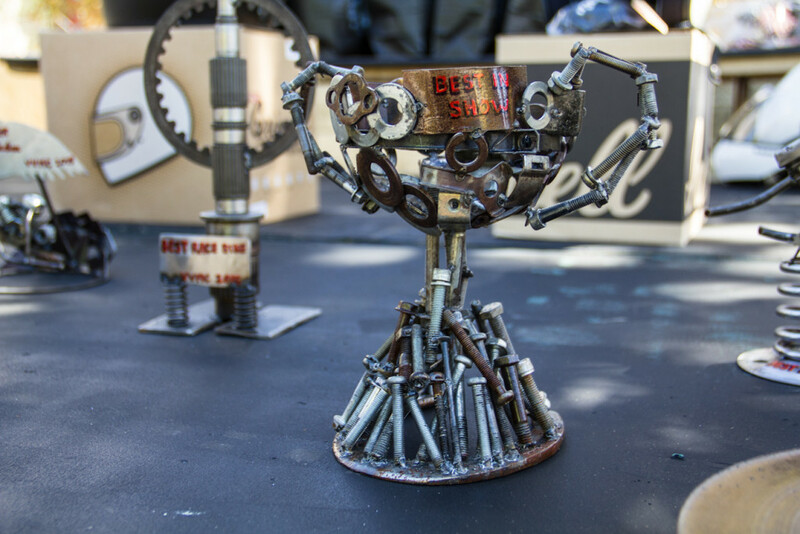 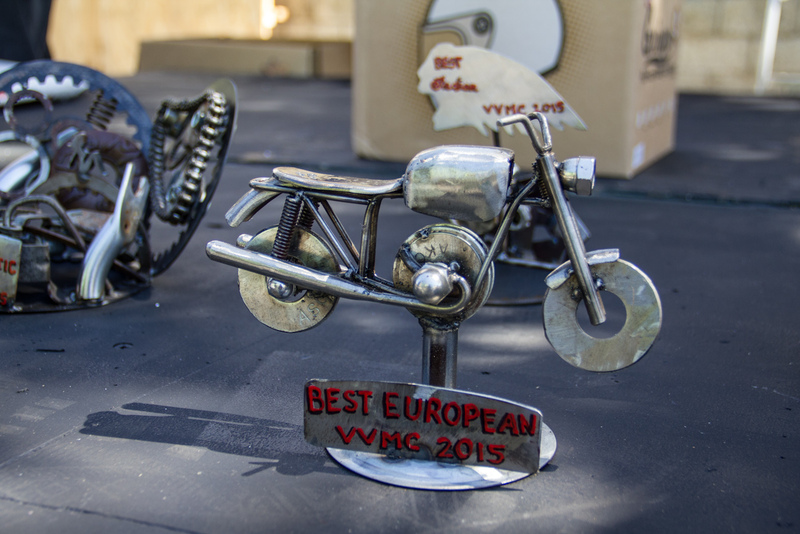 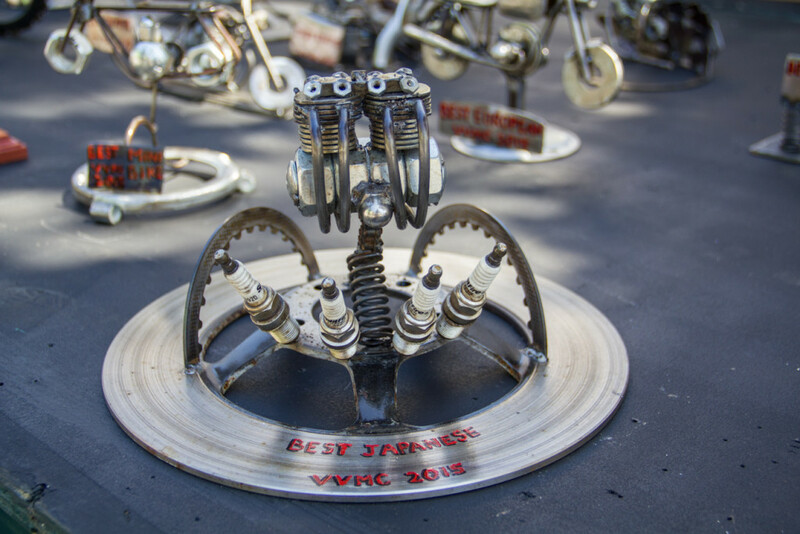 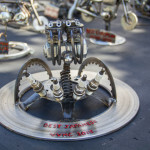 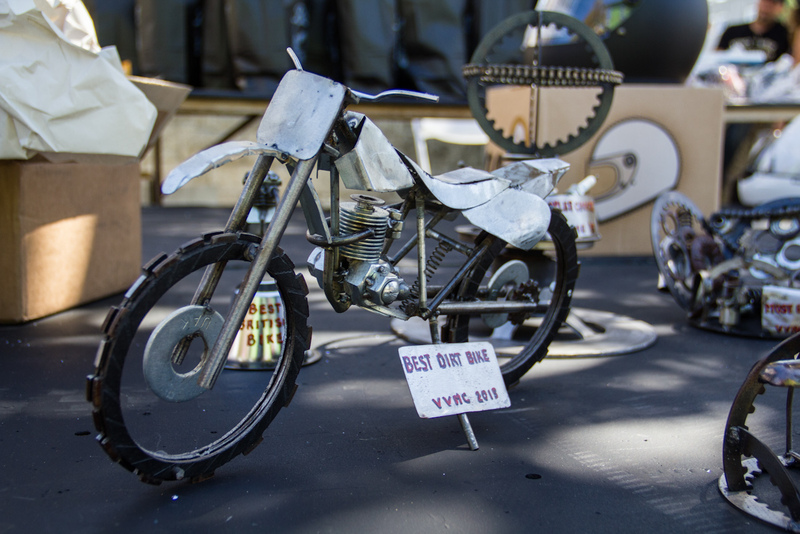 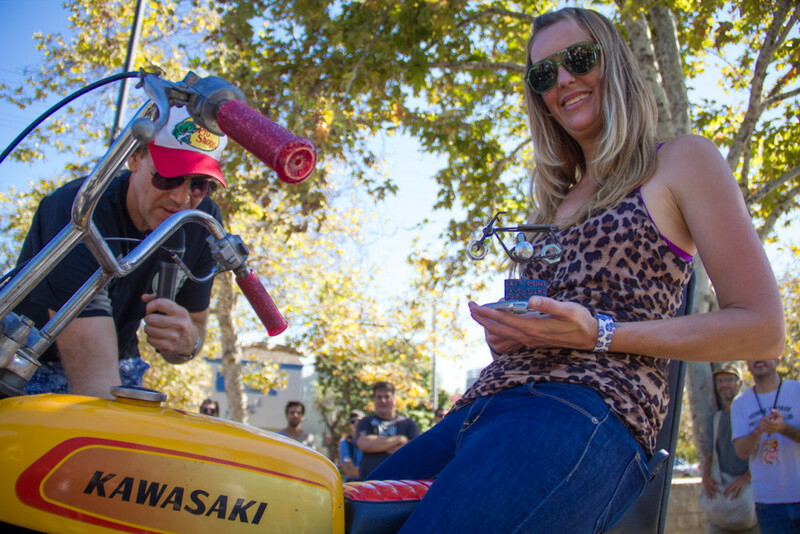 The main attraction is a big bike show and series of trophies and awards. 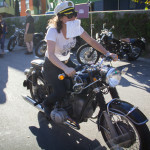 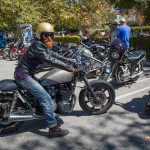 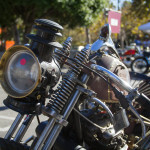 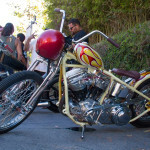 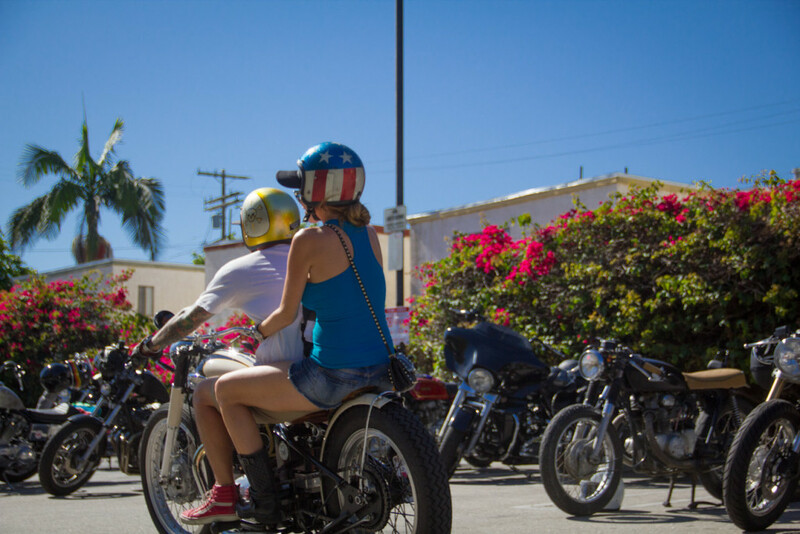 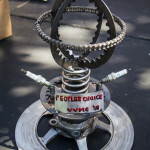 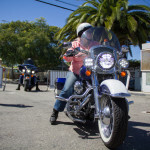 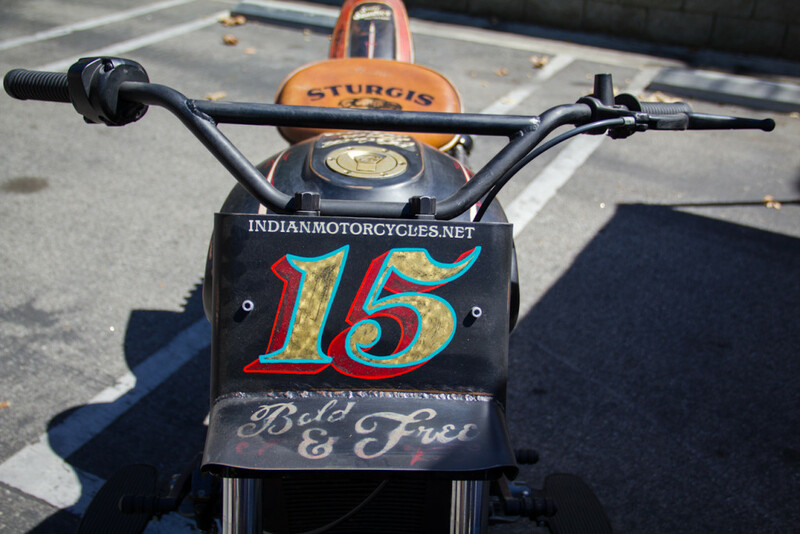 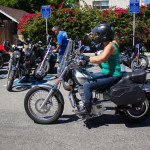 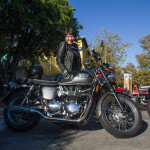 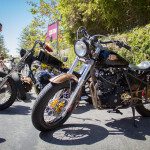 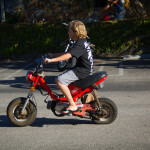 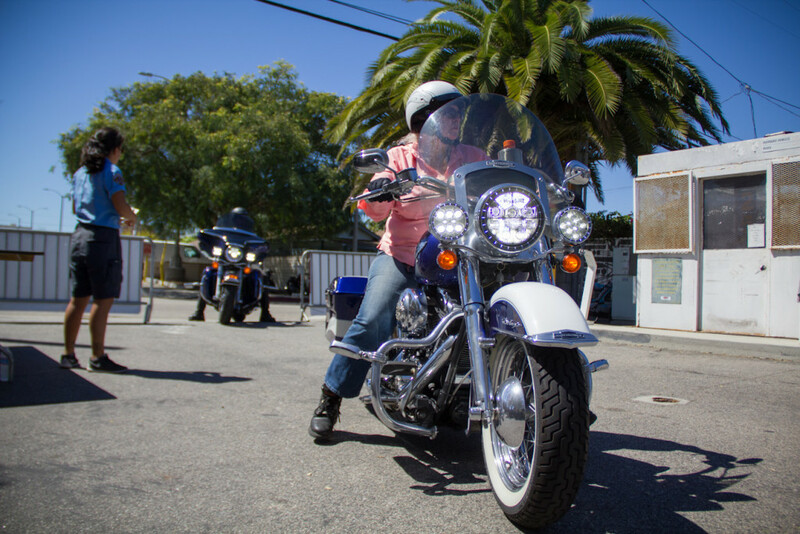 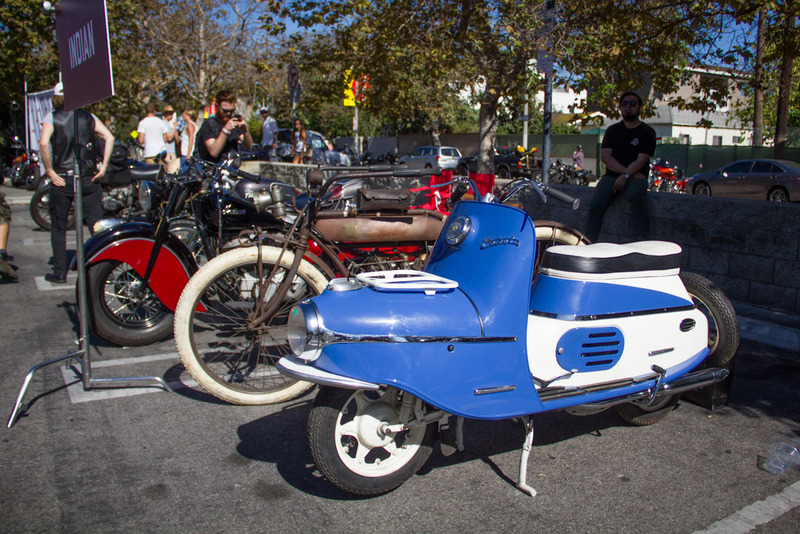 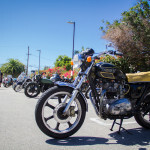 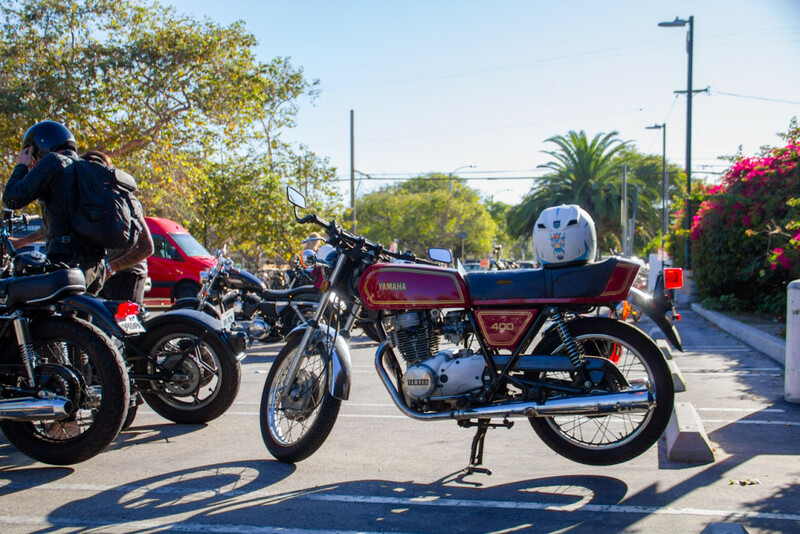 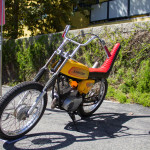 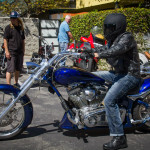 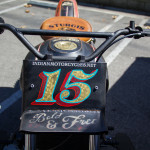 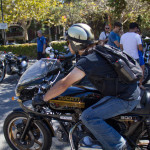 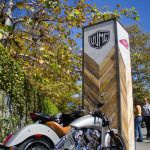 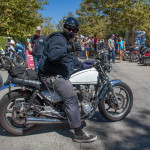 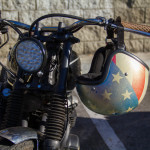 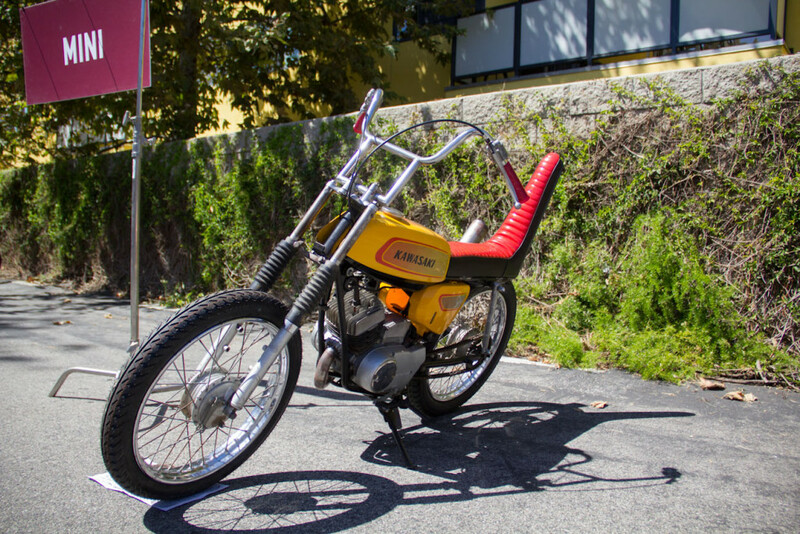 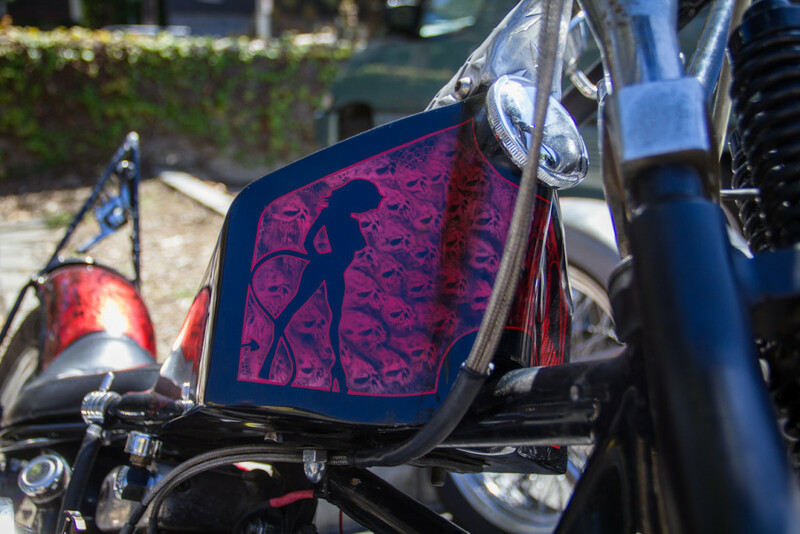 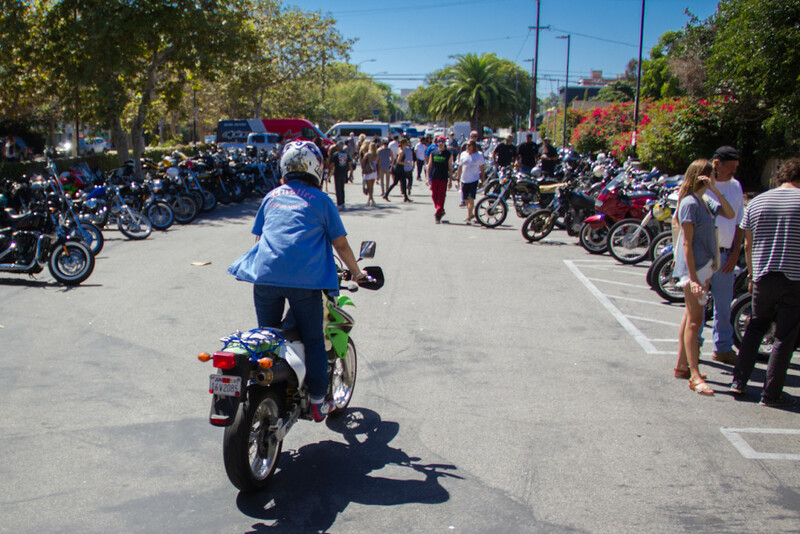 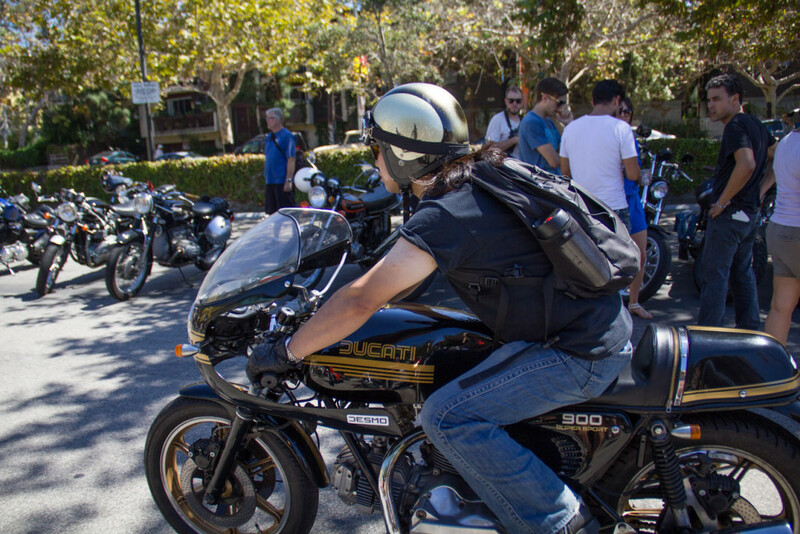 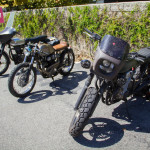 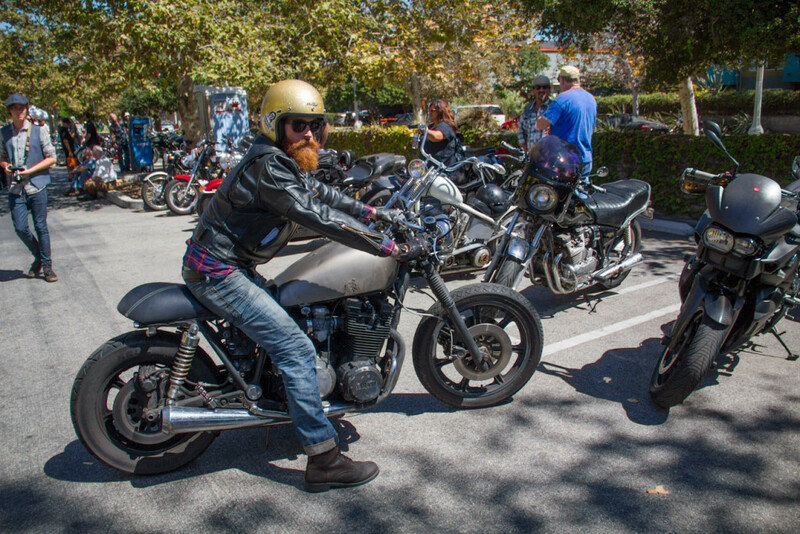 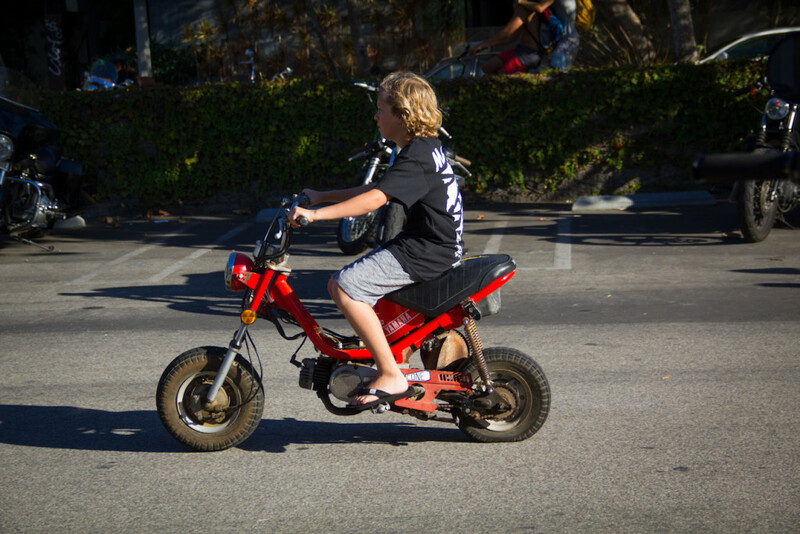 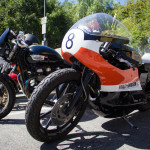 This year I grabbed my camera and headed to Venice, California to check out the VVMC rally for the first time. 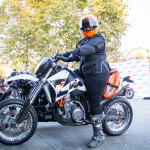 I heard a lot of good things about this event from friends, and it didn’t disappoint. 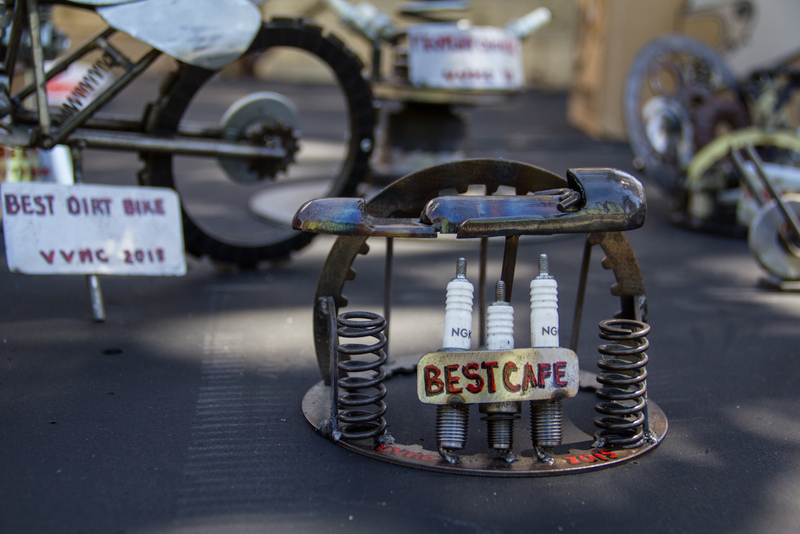 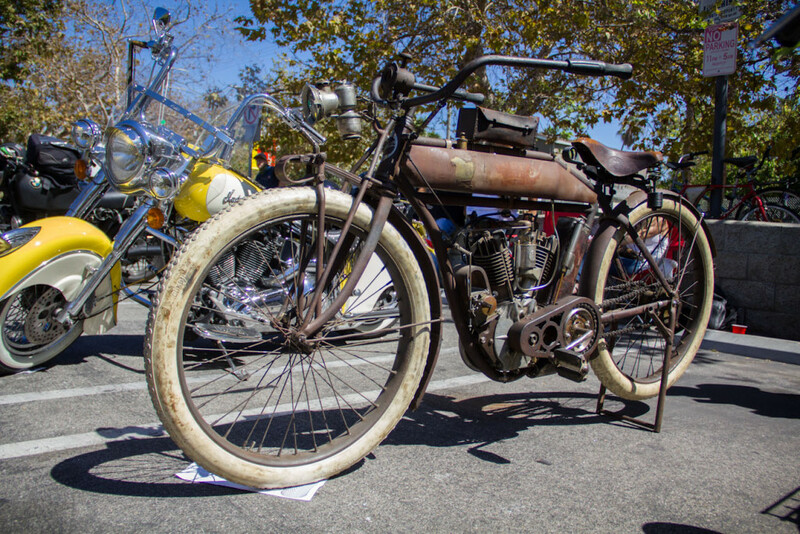 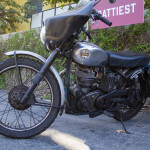 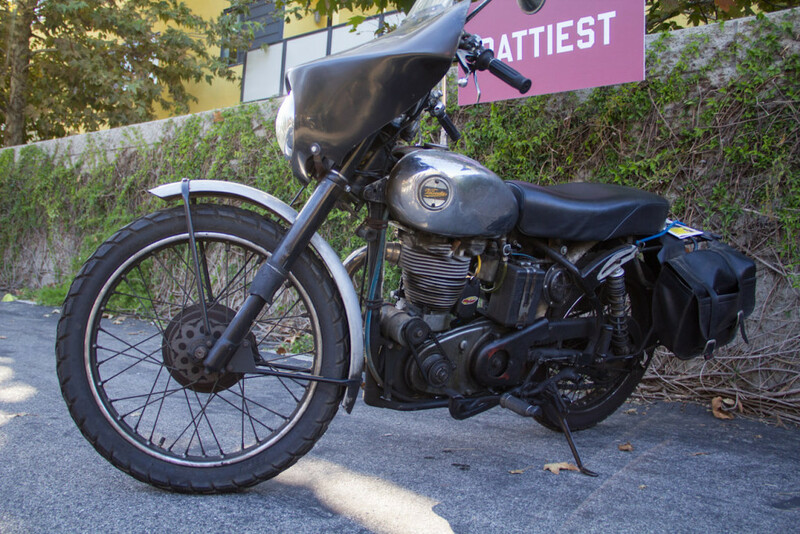 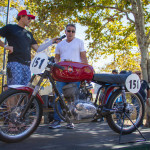 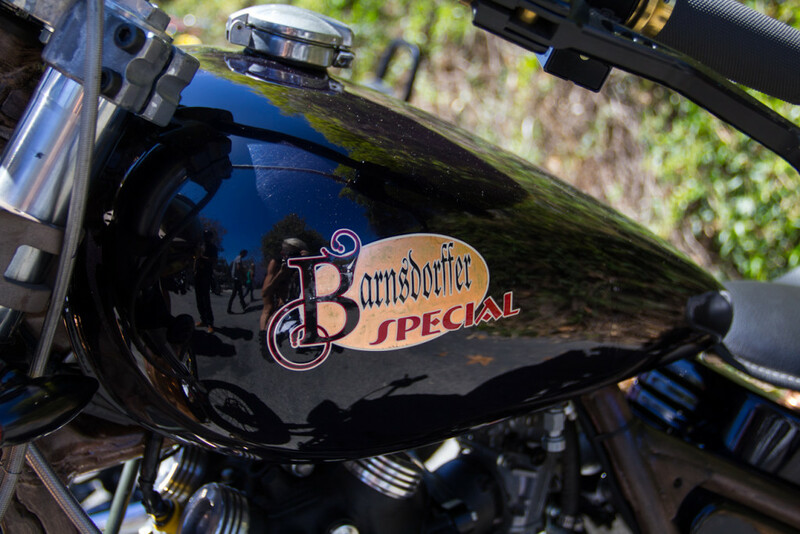 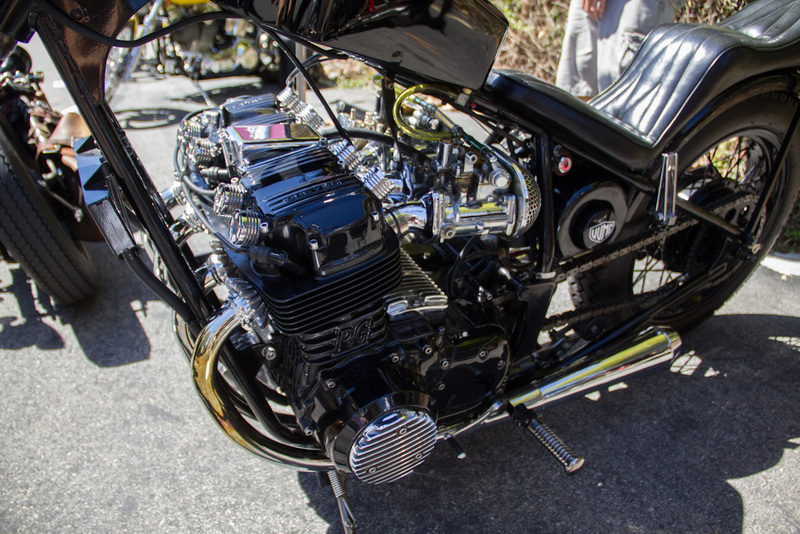 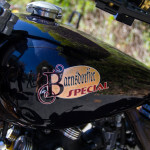 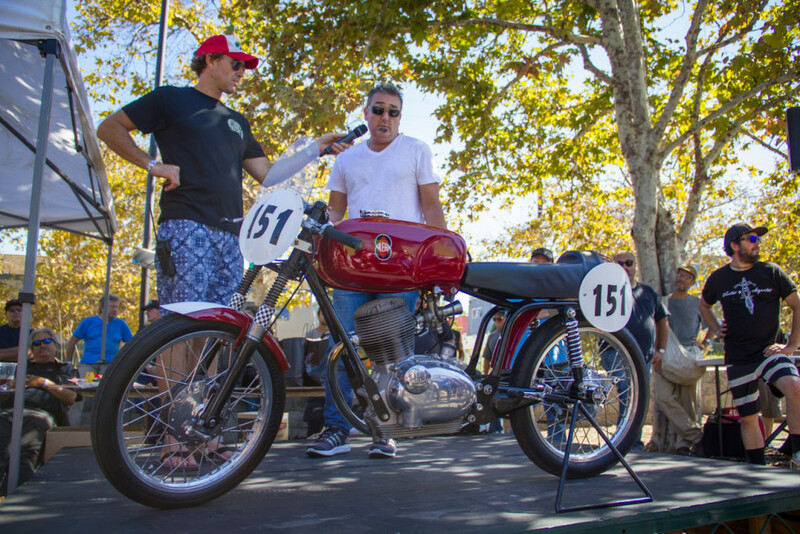 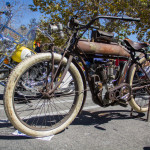 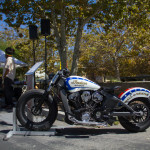 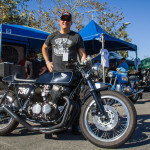 There were tons of beautiful vintage and cool custom bikes in the show, in categories like Best Exotic, European, Race Bike, Japanese, Cafe, Dirt Bike, Mini Bike, and more. 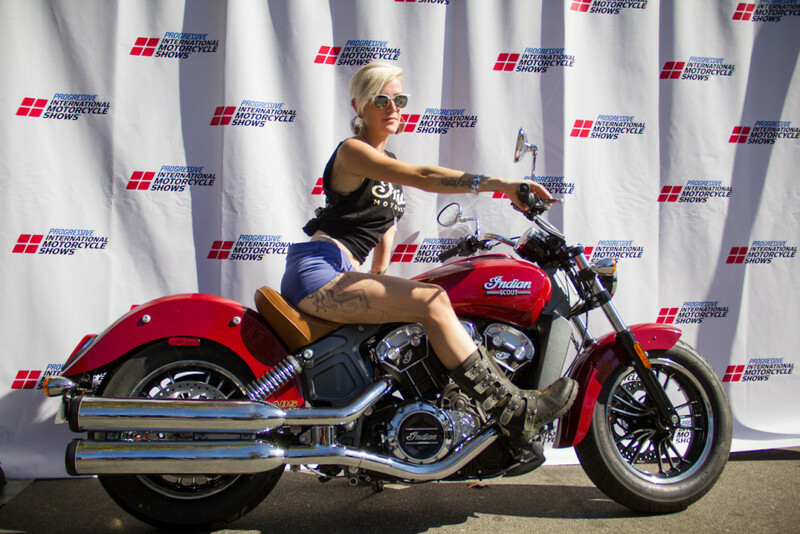 The event was sponsored in part by Indian Motorcycles- I happily cruised around taking photos of the crowd for them that day, too. 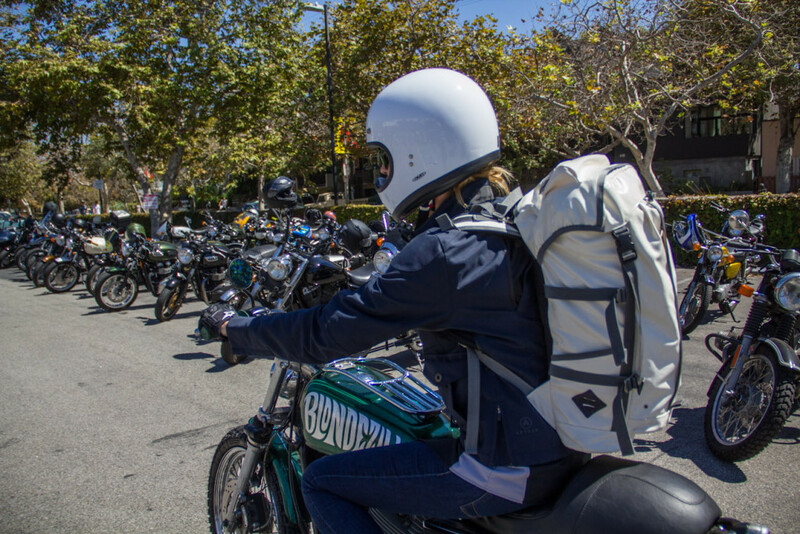 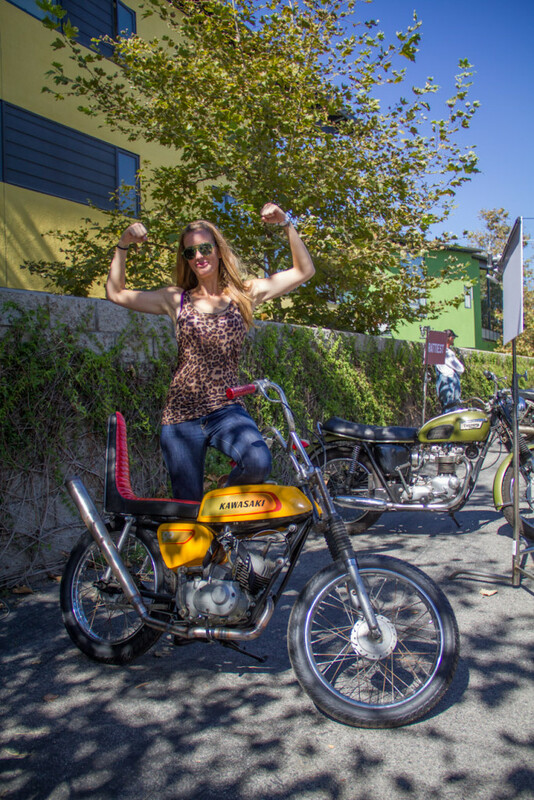 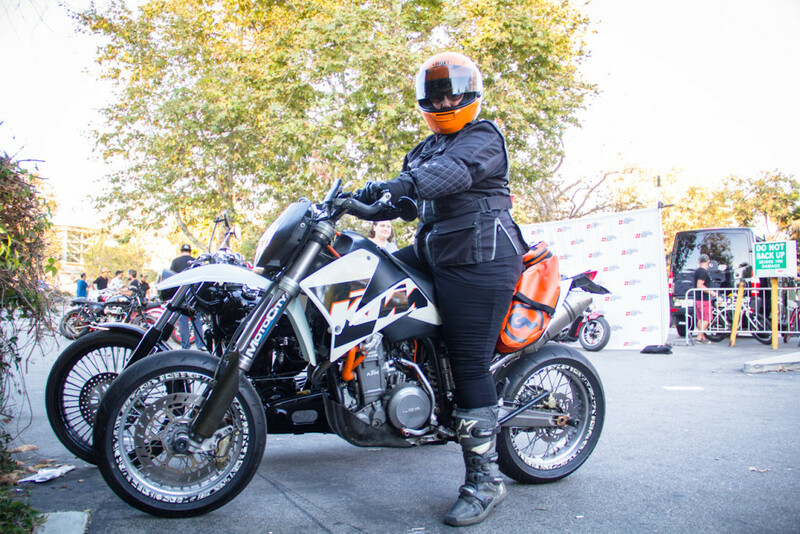 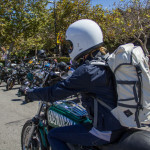 I spotted my buddy Caroline- it’s easy when she’s riding the Blondezilla DualSporty I built. 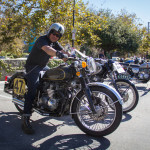 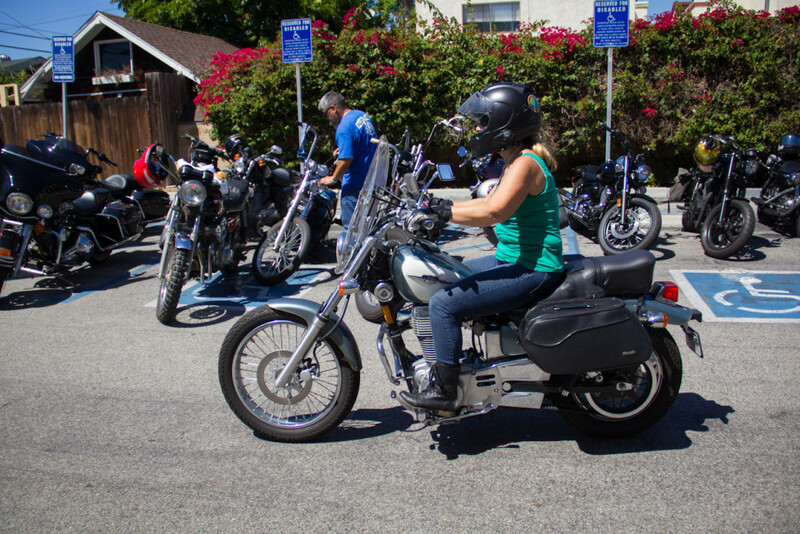 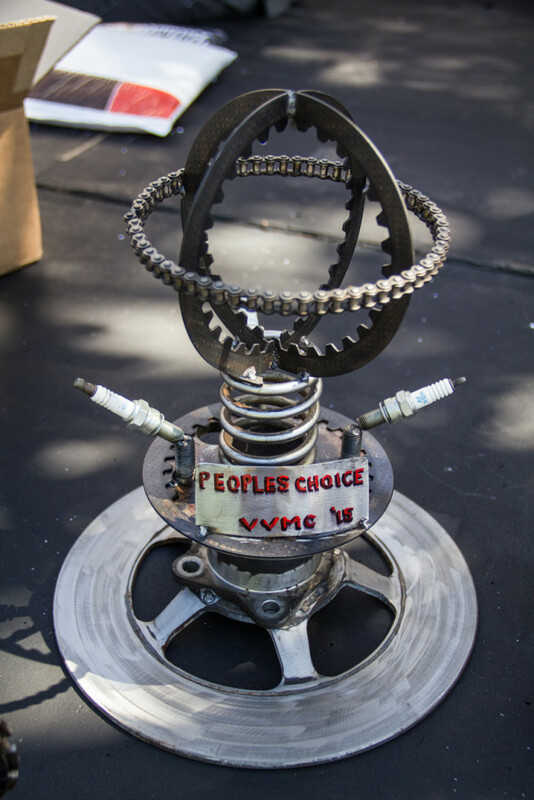 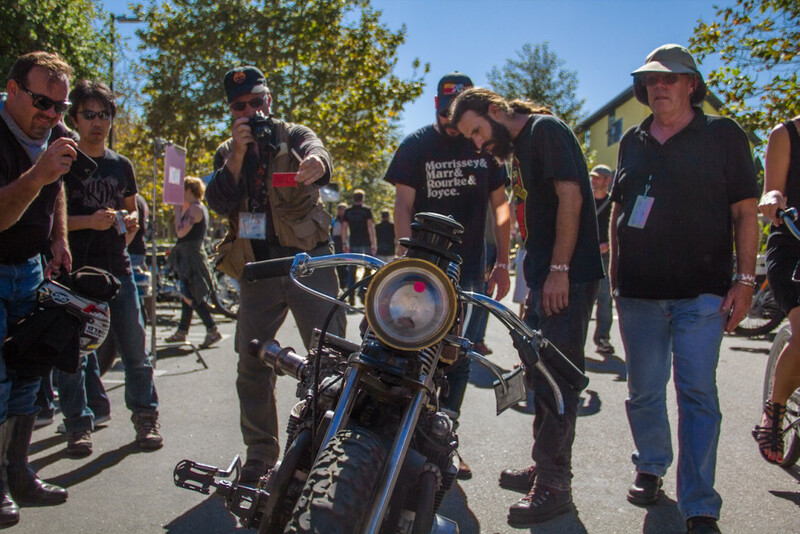 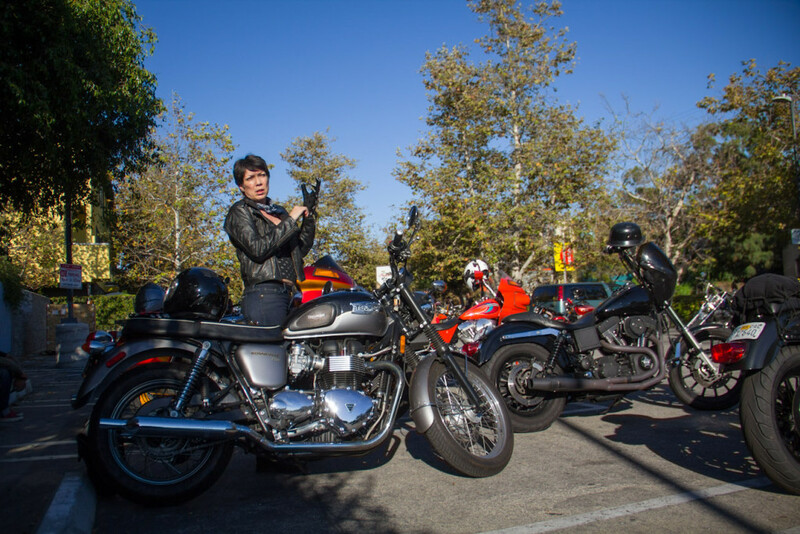 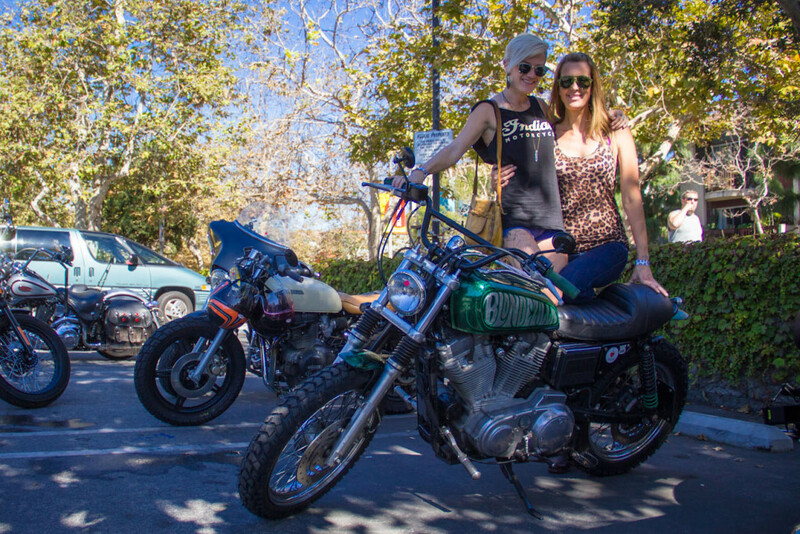 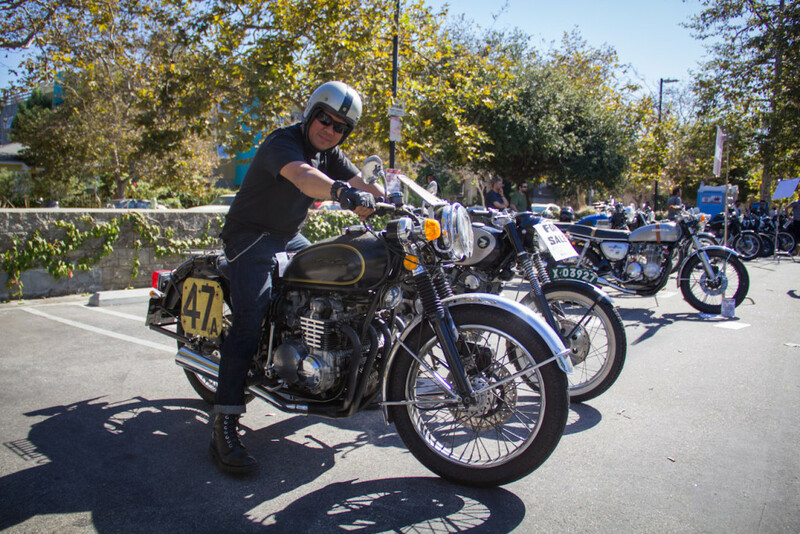 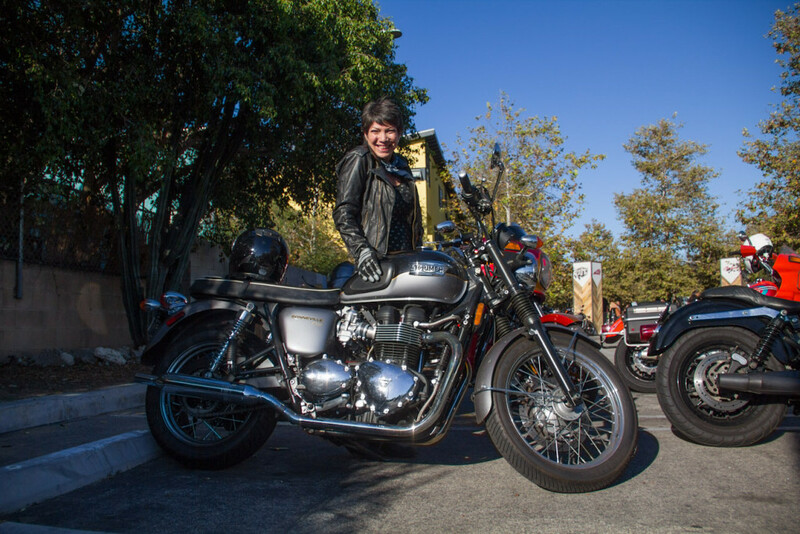 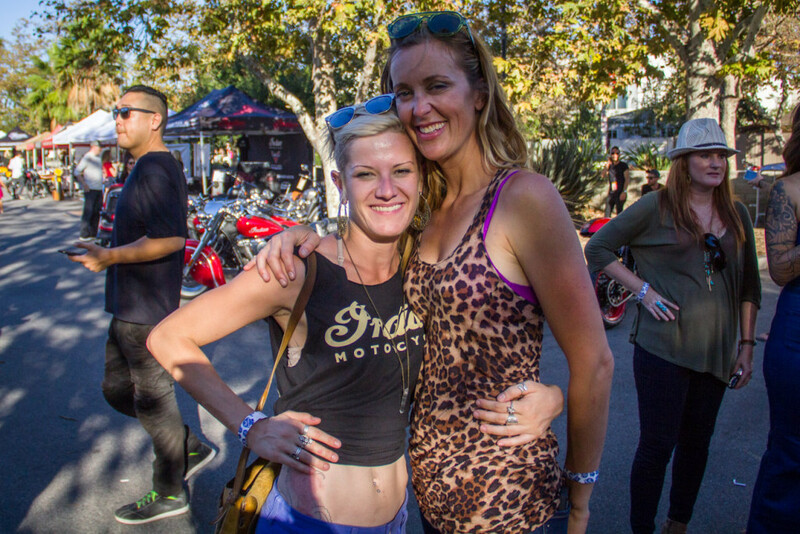 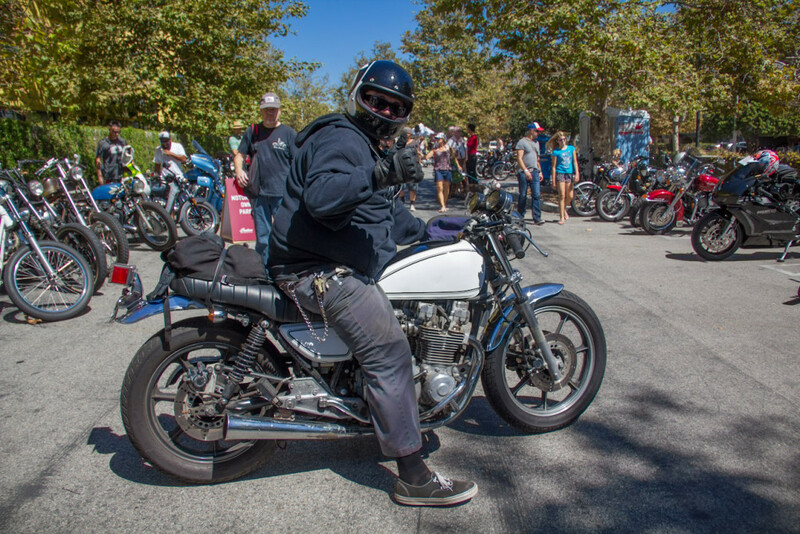 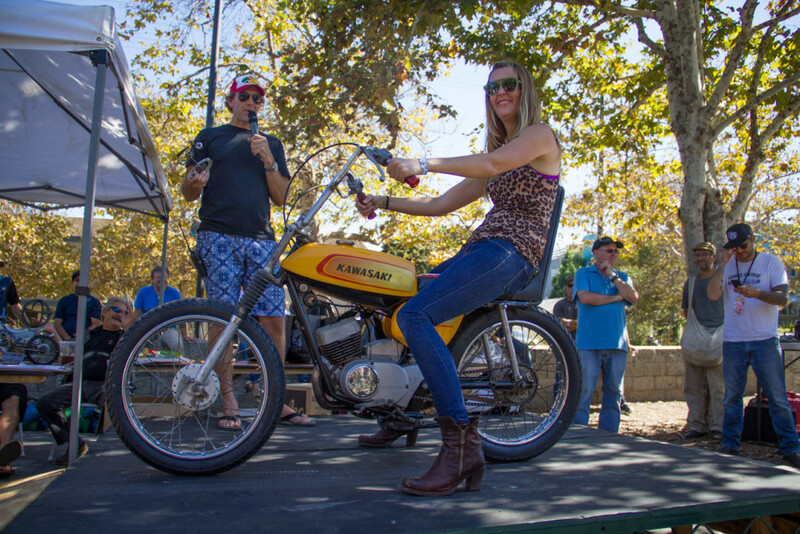 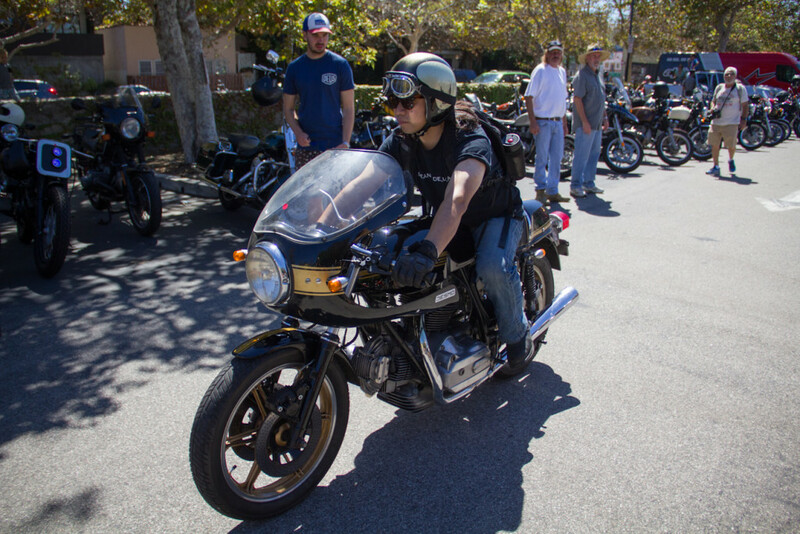 The VVMC Rally was sort of like a carnival for motorcyclists. 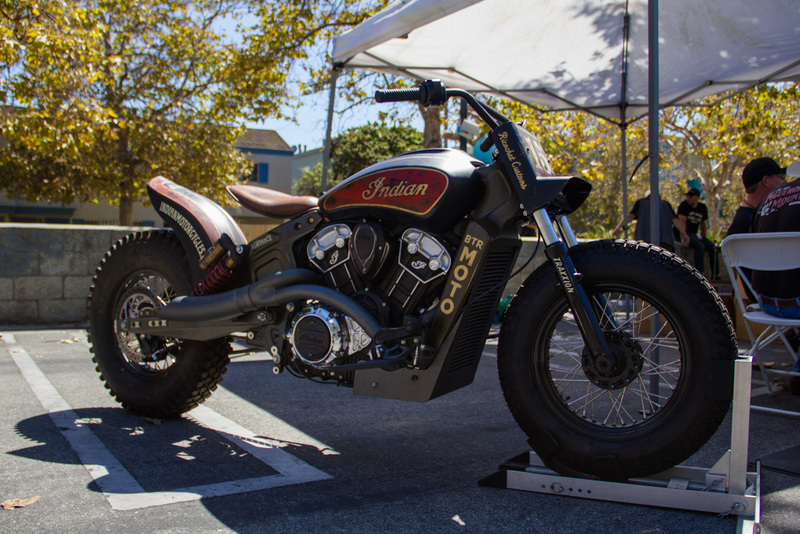 It had everything you could ask for in that realm, really… it had the old Indian. 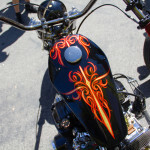 I could feature go on and on with all the photos, but you should just check out the gallery below. 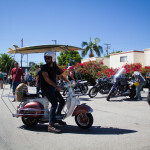 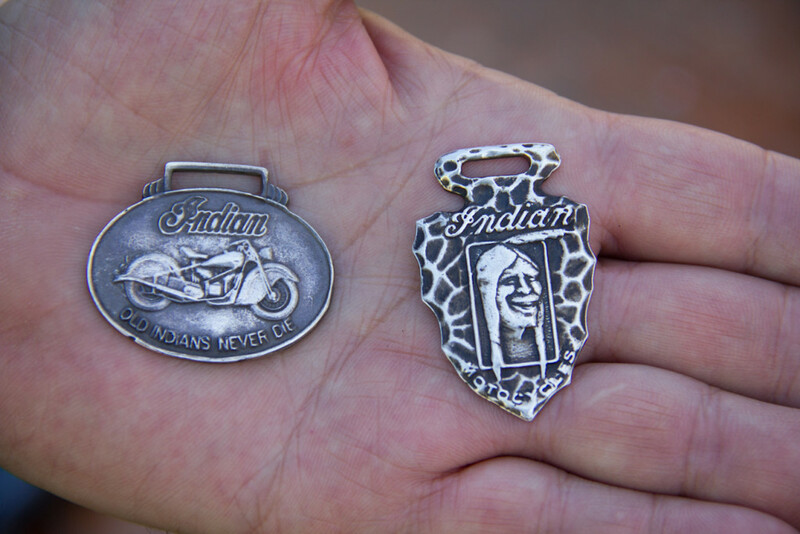 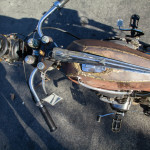 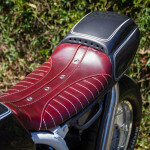 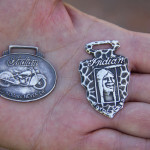 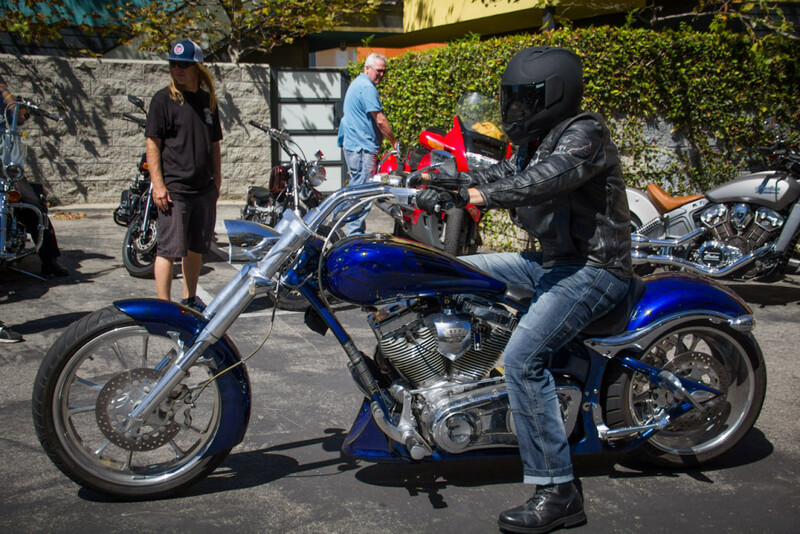 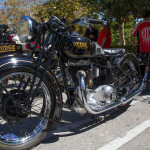 Check out the Venice Vintage Motorcycle Club website to stay up to date with future events. 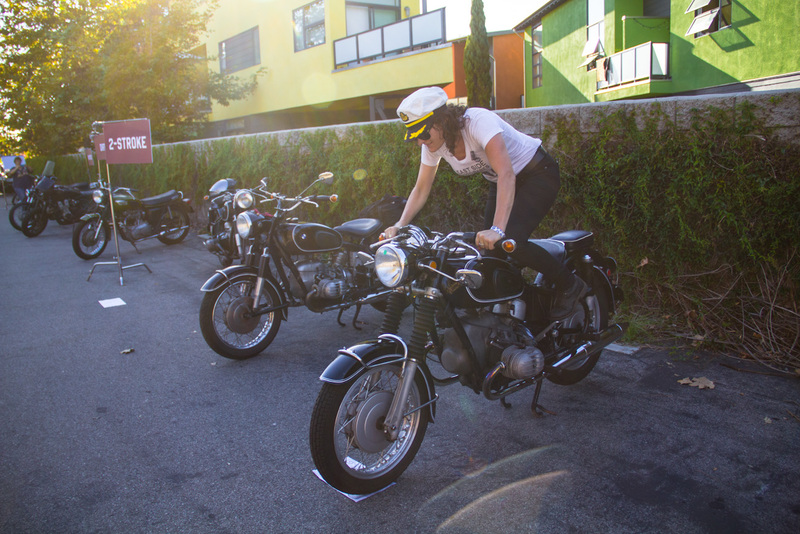 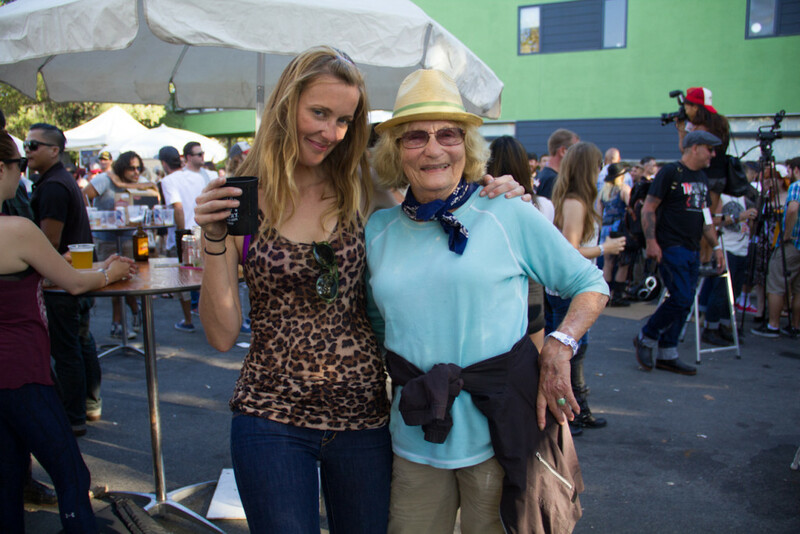 Photographs by Alicia Mariah Elfving, copyright themotolady.com 2015. 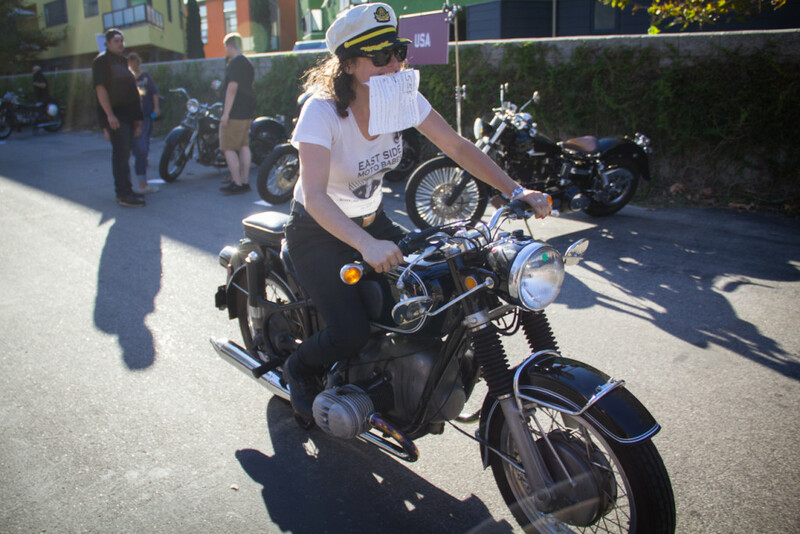 Email for usage requests.